how to turn on and turn off camera in lock screen. For What it is Used ?? This tutorial Will Explain how to enable and disable that Option. 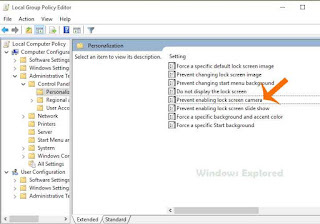 Just follow the upcoming Steps in Your Windows 10 PC. Step 1 : Login to Your Windows PC As Admin. Step 2 : Press Windows +R Key Simultaneously. Step 3 : Hit Enter. 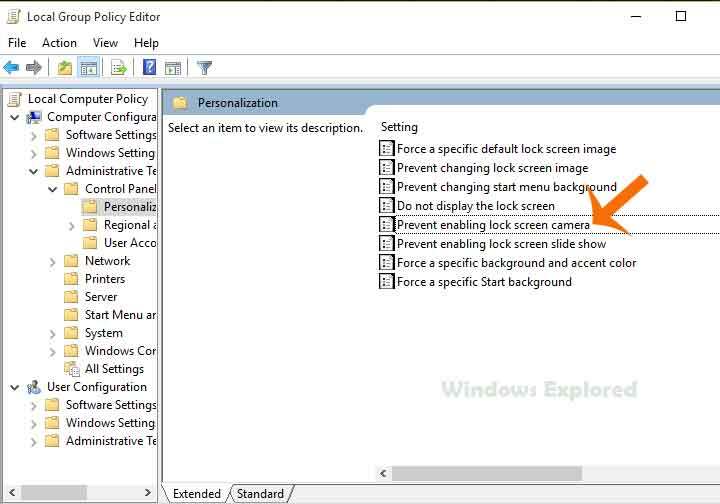 Step 4 : It will Open a new Window,Which is Local Group Policy Editor. Step 5 : On that Navigate as Follows. Step 8 : It Will Open A New Window, on that Select Enabled. Password, before following the next step. Step 9 : Select/tap Apply. Step 10 : Click on OK & close the Window. 8 Click on Not Configured Option. How to Optimize drives for better Performance In Windows 8,8.1,10 ?? How to enable ctrl+Alt+Del login ?? How to run cmd as Admin ? ?